Rick Maia is a DJ with extraordinary technical ability and a producer with music making waves with many other artists on the scene. He has the passion, intelligence and a understanding of the dance music environment which makes him a truly exciting prospect. Rick’s previous residencies with ‘Going Places’ at The Gallery, ‘Spacestation’ and ‘Gifted ‘ have included appearances at seminal London clubbing meccas including Turnmills, The End, The Cross, Ministry of Sound and The Egg. He has played guest slots all across the globe including Brazil, Colombia, Chile, Paraguay, El Salvador, Thailand, Indonesia, Laos, Poland, Slovakia, Serbia, Croatia, Portugal, Spain and Greece. 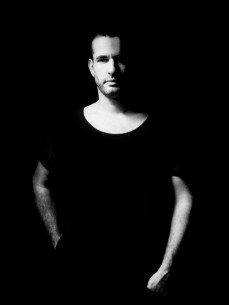 Recent highlights include DJ shows at Space in Ibiza and festival sets including Creamfields UK, South American Music Conference in Argentina, Dimensions Festivals in Croatia and Exit in Serbia where he has featured alongside a diverse range of acts from Kevin Saunderson to Subb-An and Kenny Larkin during 2013. This has been a pivotal year in his career culminating with his residency for FACT Worldwide events combined with a relocation from London which has been his home for the past five years to Barcelona, which is a European hot bed of both established and emerging musical talent. FACT are defining new boundaries in terms of forward thinking music events from Sonar in Barcelona to Ushuaia in Ibiza and the Opera House in Sydney. Their guest DJ line ups read like a who’ s who of prominent current DJs from Maceo Plex and Visonquest to Pete Tong, Miss Kittin and Little Louie Vega. With production such a vital part of the modern DJs armory, Rick has devoted himself to the studio in recent months with his customary zeal. Ever the perfectionist, he's taking time to fully develop his musical style and create a platform where his ideas can be fully expressed, with own original material due for release over the forthcoming months. Rick is an extremely versatile DJ who is able to adapt his unique sound to any kind of environment where he combines impeccable taste with impressive technical skills to superb effect. Serious quality inevitably produces outstanding results, and with Rick you can be assured of this and more with every performance.